From Ireland, we flew to the capital of Scotland – Edinburgh. 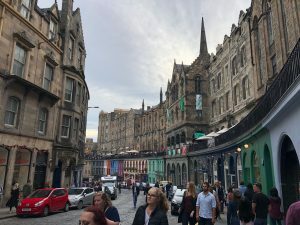 Edinburgh was packed full of history, and Harry Potter. The towers and the old buildings of Edinburgh loomed over the streets. Little shops were lined along to roads as people jostled in and out of them. 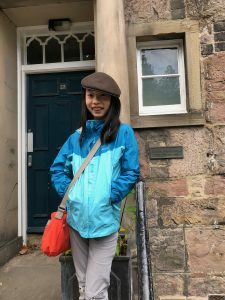 In Edinburgh, we went on a Harry Potter tour. We learned about the life of JK Rowling. JK Rowling worked as a secretary in London, but she wasn’t very diligent – she spent most of her time daydreaming and writing stories, instead of taking notes. 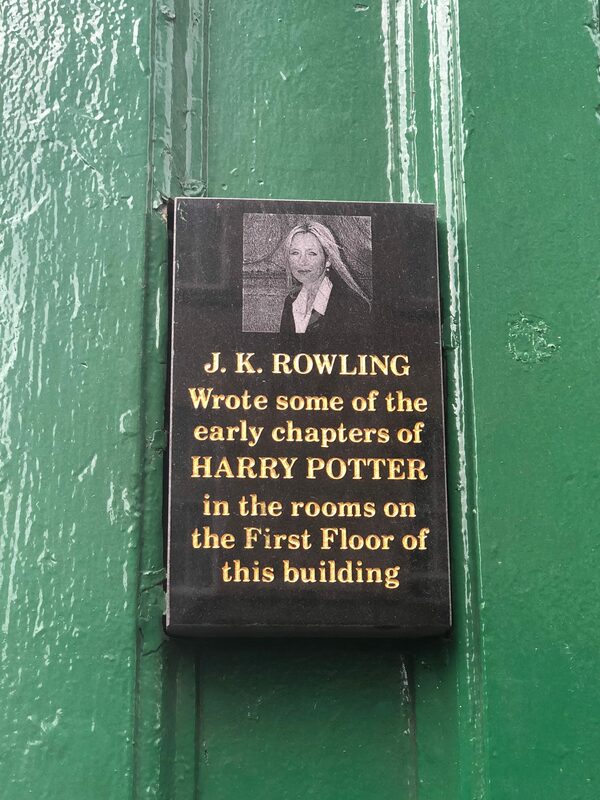 Rowling had a baby, and moved to Edinburgh to spend all of her time writing. She was very poor, and survived off a few hundred pounds that the government gave her. The Dementors in “Harry Potter and the Prisoner of Azkaban” were based on Rowling’s depression, the Boggart was based on her worry for herself and her baby. When she finished writing her first Harry Potter book, she took it to 12 publishers, all of whom rejected it. Finally, Bloomsbury Publishing agreed to publish the book. Two hundred copies of “Harry Potter and the Philosopher’s Stone” were printed. It became a worldwide success! The rest is history. 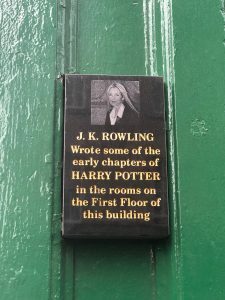 As part of our Harry Potter tour, we went to different sites related to JK Rowling. First, we went to Spoon – the cafe where JK Rowling wrote most of the Philosopher’s Stone. JK Rowling wrote in a corner with two large windows, so that she could look out on the street. I could just see her, sitting in the corner of Spoon with her pencil and paper, writing away as people walked by in the street below her, unaware that a great writer was at work. 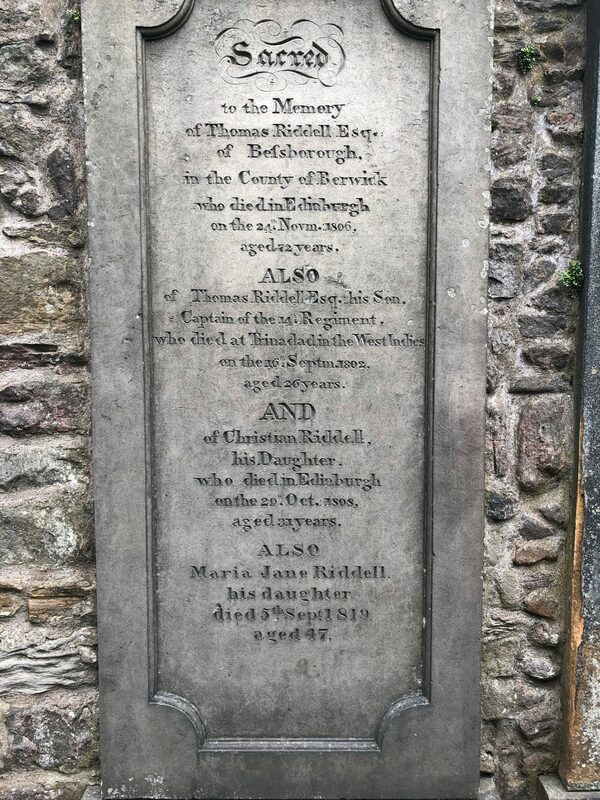 Next, we went to a graveyard where JK Rowling got the inspiration for some of the names in Harry Potter. 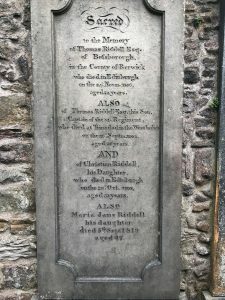 There was a grave with the name Potter, and another with the name Ridelle on it. I felt goosebumps run down my arms as I looked at the rock slabs, partly covered in moss, and the words nearly faded away. I left that grave as quickly as I could. 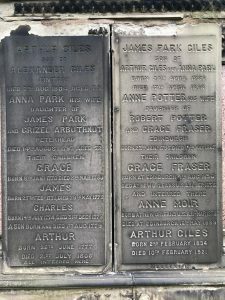 After that, we visited a grave with the name of Moodie on it. I am sure that all the Potterheads like myself will recognize names from the books. 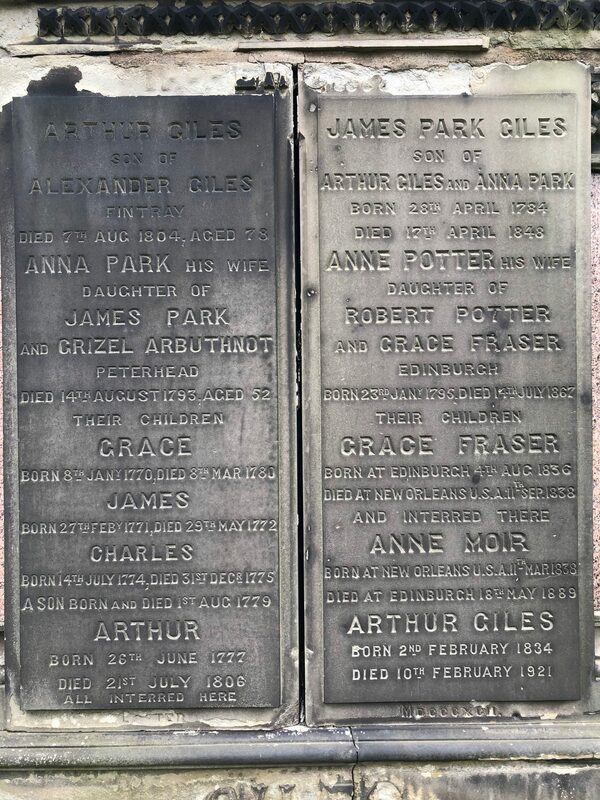 I thought it was very interesting that JK Rowling got the inspiration for the names of her characters from tombstones! 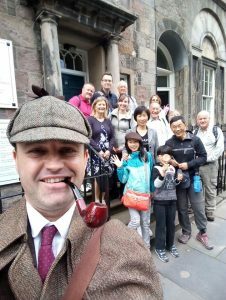 The next day, my family and I went on a Sherlock Holmes tour. The tour guide was dressed like Sherlock Holmes, wearing the classic Sherlock Holmes outfit, complete with the earflap hat. In the beginning, the tour guide asked us what was the first book that the author, Sir Arthur Conan Doyle had written in the Sherlock Holmes series. My hand shot into the air, and I answered, “A Study In Scarlet”. The tour guide and the other old ladies and men were impressed, and the tour guide let me wear a detective hat. An old lady who was walking on the street took a picture of me!! When Sir Arthur Conan Doyle was 9 and his father was an alcoholic, his mother sent him to a boarding school to be away from his father, whom she felt was a bad example. 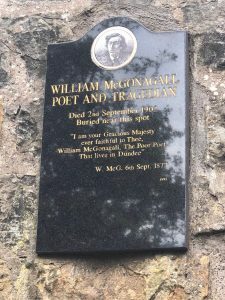 He studied there until he was 17, and then returned home, where his mother wanted him to study at the university of Edinburgh and become a doctor. He was a medical student there for 4 years, and I visited the house where he lived! I love Sherlock Holmes because of its complex and interesting plot, and its colorful characters. I also love that Sir Arthur Conan Doyle didn’t try to pretend that he had come up with Sherlock Holmes himself. Just like JK Rowling, he created his characters based on real (including dead) people!